Village Spice is based in 79 Wilding Road, Stoke-on-Trent, Staffordshire, ST6 8BQ. We aim to bring all of our customers the best value for money, services and food around, plus we are constantly aiming to improve our service in Stoke-on-Trent. You can now order food online. Try our online website which contains all our menu. We offer deliveries to all surrounding areas of Stoke-on-Trent . We offer all our customers fast food delivery. You can now order your favourite dish online and get fast home delivery. We are very particular about our service and quality to give our customers a better experience; which is why we are now proud to offer this fantastic online ordering website. You can even pay online and get your food delivered to your home in Stoke-on-Trent. Exciting Hot Deals on every dish from Appetizers to Desserts, all are zestfully available at Village Spice ..
Order online to get a swift delivery on time OR step in at Village Spice.. The food rates will not pinch your pocket at Village Spice, P.S. We have reasonable price! 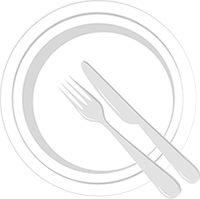 The service and the food is always excellent and the food is always hot but the menu needs more variety!. Very nice food especially the pizzas ???????? Love this place, excellent food, always on time. This has become my favourite place to order from.. the pizza's are delicious..and the pizza meal deals are brillant ...always turn up hot and on time..thank you. Really nice food, it's cooked really well and tastes divine. The staff are nice and the service is fast online or in house. I've never had food from here I've not enjoyed or had a problem with. What you waiting for place a order, it's worth every penny. The food and service from here is absolutely fantastic we have been ordering for ages and we don't go anywhere else.